Gaborone – Beijing issued a warning to Botswana Wednesday over its plans to host the Dalai Lama next month, asking the African nation to respect China’s “core interests”. The Tibetan spiritual leader, who lives in exile in India, is due to speak at the three-day “Mind and Life Dialogue” conference in Botswana’s capital Gaborone, which begins August 17. China’s officially atheist ruling Communist party views the Dalai Lama as a dangerous “separatist” campaigning for Tibetan independence and consistently condemns foreign governments who welcome him. 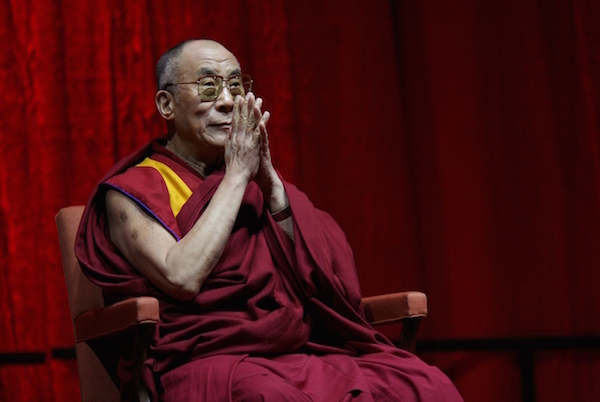 The Dalai Lama, in turn, says he is seeking more autonomy for Tibet rather than outright independence. Chinese foreign ministry spokesman Lu Kang called for Botswana to “earnestly respect” China’s core interests of sovereignty and territorial integrity, and “make the right decision” on Tibet-related issues. “China will not interfere in other countries’ internal affairs, and we will not accept that other countries do things that would harm the core interests of China,” he told a regular press briefing. It is not yet confirmed whether Botswana’s President Ian Khama will meet with the Dalai Lama, but the leader will “extend basic courtesies” for the Nobel Peace Prize-winning monk and treat him as “a foreign dignitary” during his visit, the country’s foreign minister said.